If you’re late to the party or you’ve been procrastinating your spring cleaning, you can double down on the joy your spark by participating in Junior League of Cedar Rapids’ Stuff The Bag challenge along side the de Novo team. Proceeds will go towards JLCR’s Bridging the G.A.P. program that provides support and resources to teens aging out of the foster care system. Take your gently used clothing and household items to Stuff Etc. and ask to put them on the JLCR account (#27557). Be sure to snap a pic and post it to Instagram or Facebook using #JLCR and #StuffTheBag. Easy enough! More About Bridging the G.A.P. Every year in Cedar Rapids, at least 25 teens age out of the foster care system. These teens often lack the basic support and resources to furnish an apartment and buy the necessary supplies needed for their adult lives. 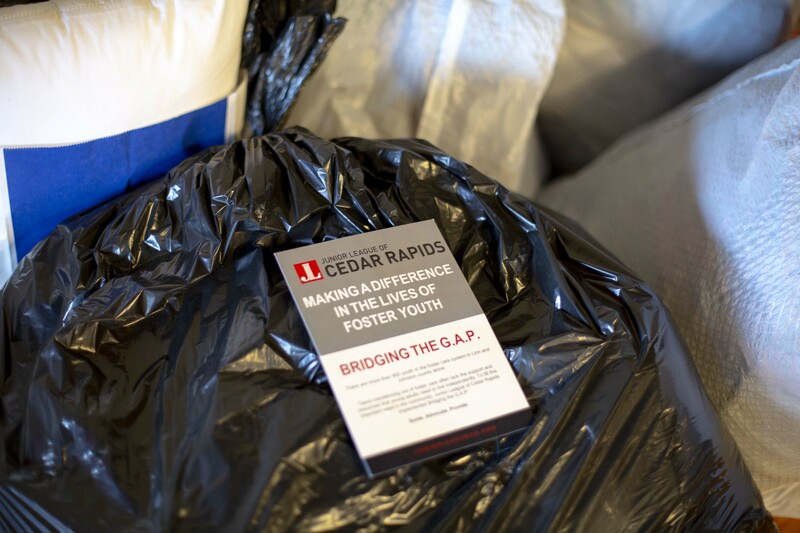 Junior League of Cedar Rapids created the Bridging the G.A.P. program to give these teens a helping hand as they transition into adulthood. Learn more about Bridging the G.A.P. and Junior League of Cedar Rapids here.